The Samsung Galaxy S10, due out early next year, should follow the usual formula and also come in a super sized variant dubbed Galaxy S10 Plus. What might suprise you is that it will stands even taller than Samsung's 'phablet' Galaxy Note 9. Samsung is rumoured to launch three models of its Galaxy S10 including the S10 Plus. Now, this plus sized handset is said to come with a 6.44-inch display – a jump up from the Galaxy S9 Plus' 6.2-inch screen and also larger than the Note 9's mooted 6.3 inches. Being Samsung that sizeable S10 Plus screen should also be Super AMOLED and high-resolution too. The really exciting thing about the S10 Plus is that despite that larger screen, it may not actually take up much more room in your pocket than the S9 Plus. This is thanks to a more truly bezel-free display which is rumoured to appear on the S10 range. If a pop-up selfie camera, a vibrating glass screen as the earpiece speaker for calls and an in-screen, 'ultrasonic' fingerprint sensor are all employed it might even be notch-free. As noted above, the screen boost would mean the S10 Plus is actually bigger than the Galaxy Note 9, which should come in at 6.3-inches when it's launched on August 9. That points to an interesting shift in Samsung's thinking as the Note series has always been sold on its phablet size. From here on, it looks like the main differentiator will be the S Pen stylus. Although since the rumoured new S Pen should be the star of the Note 9 show, a larger S10 Plus may not step on its toes too much in terms of sales. 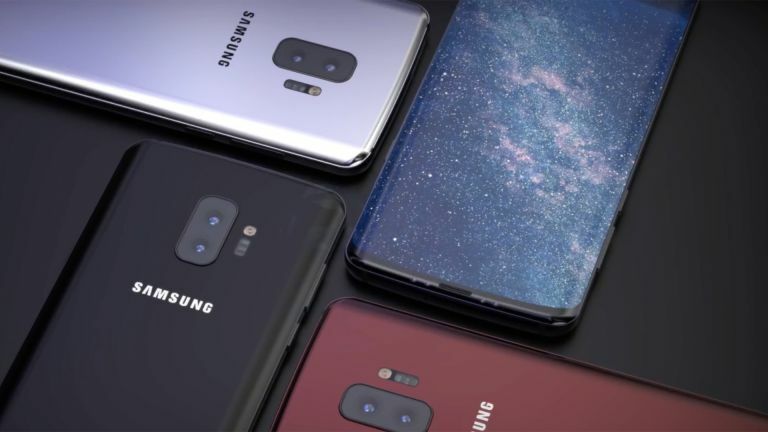 Samsung is rumoured to launch the S10 phones early in 2019, alongside a new, foldable Galaxy X smartphone.